Inspired by my experiences in a train wreck and a blizzard, I took FEMA classes and became qualified as a Public Information Officer. When a disaster strikes, I’m certified to be one of the people who speaks to crowds, writes press releases for the newspaper, feeds information to radio and TV stations, and does whatever is needed to manage and disseminate information the public needs to know. 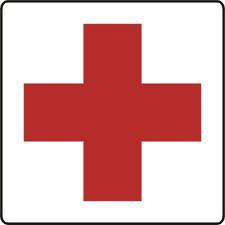 Then I took Red Cross courses and became certified in Mass Shelter Care. When people are displaced by disaster, I’m qualified to show up and transform a gymnasium into a room full of cots, coffee, and comfort. Next I attended programs with Disaster & Emergency Services, focusing on communication. When an emergency headquarters is set up, consisting of representatives from all sorts of agencies ranging from police to fire departments to national forest officials, there’s a common lingo spoken, and I learned that language. I joined the local Community Emergency Response Team [CERT] (there’s a chapter in YOUR town too) and started attending disaster planning meetings at the sheriff’s office. Because I live only two blocks from the sheriff’s department, my name was put at the top of the list of volunteers to be called in times of trouble because I can walk over there faster than anybody else can drive there. Noting there was a ham radio set up in the basement of the police department in case regular communication systems went down, and further noting that there was no one in the police department who knew how to operate a ham radio, I took a 13-week class, passed the exam, and obtained my ham radio license and became proficient at amateur radio. And so, on many occasions—all of which have involved forest fires to date— I have spent my evenings and weekends sitting in the basement of the sheriff’s department, answering the emergency hotline, monitoring radio traffic, solving problems, and filling out paperwork. Shockingly, it is as a direct result of this training that I became disillusioned with the emergency response capacity of our nation at large. I am now convinced that people who feel that they don’t need to prepare for disaster because “somebody else” is going to show up to help them if disaster ever befalls will one day be up the creek, with no one to hand them a paddle. It was not a single event, but more a lot of little things, that caused me to lose my faith. It was the fact that the sheriff spent thousands of dollars on the best ham radio set-up money could buy, without training a single officer to use it. It was finding out that the Red Cross in my town only owns 13 cots, so if there are 14 people who need a bed, somebody’s going to be sleeping on the floor. It was the meeting where 20 recently used emergency blankets needed to be washed before being stored, and there was not enough money in the local Red Cross coffers to cover the cost. (How many of my fellow citizens who are depending upon the Red Cross to rush to their rescue are aware that the local Red Cross cannot afford to wash blankets?) It was the realization that the Emergency Operations Center is located in a building that is likely to collapse in an earthquake. It was finding out that there are only four ambulances in my city, and that the ratio of emergency responders to citizens is one to a thousand. It was FEMA making clear that if there was an earthquake in my town at the same time there was a hurricane in Florida, the resources would go to Florida; that if a wildfire is bearing down upon L.A. at the same time a wildfire is bearing down upon my city, no one’s going to rush to our town. It’s a simple matter of supply and demand: if demand for emergency relief outstrips supply, somebody goes without. People like to delude themselves that emergency relief is an unlimited resource. It’s not. Then there were the stories of my fellow Red Cross workers, returning from floods and hurricanes and tornadoes and fires. All emergency agencies tirelessly campaign to convince people to have emergency supplies on hand to last 72 hours, by which time the cavalry has hopefully arrived. Time after time I heard stories of Red Cross volunteers who, while handing out sandwiches and water and blankets to beleaguered people, received nothing but abuse in return: “Why did it take you so long to show up?” Destitute people who depend on welfare checks and wealthy people with their sense of entitlement both resented the fact that the rescue team took several days to arrive. It did not occur to them that that they could have prepared for trouble in advance; rich and poor alike agree that it’s supposed to be Somebody Else’s job to deal with the problem, and that Somebody Else better deal with the problem immediately. From the stories of the Red Cross workers who deal with hordes of such people, you would not conclude that Americans are a resourceful, resilient people who are able to handle whatever life throws at them. You would instead conclude that Americans are by and large a bunch of lily-livered pansies who faint at the thought of personal responsibility. Everything the Disaster & Emergency Services worker in the blizzard in Drummond told me was true. The whole problem with putting your faith in Somebody Else, whether it’s the Red Cross, FEMA, the National Guard, the U.S. Army, the police, God, or anyone else, is that if that nameless, unknown ‘Somebody Else’ fails to materialize, you are indeed up that proverbial creek, if you have used your faith in Somebody Else as an excuse why you don’t need to set aside your own emergency paddle. I cannot fathom why people fail to understand this, especially when it’s something that could one day make the difference between life and death. If the people of America are unable to take care of themselves for three days – THREE DAYS – what happens if they have to take care of themselves for a week? Well, we answered that question with Katrina, and it was ugly. What about a month? Two months? A year? Would the picture get any prettier? But as it happens, the same people who believe that Somebody Else is going to fix their problems tend to be the same people who believe that such a thing “could never happen”. Broach the subject of pandemic, electromagnetic pulse, nuclear war, global economic collapse, peak oil, meteor, super volcano, climate change, or anything else, and they will shrug it off and hide behind either “The Government will never let that happen” or “God will never let that happen” without considering the many, many times throughout the history of civilization where both God and the Government failed to come through. Just as effective as the train wreck and the blizzard was the realization that nearly all the people who surround me are unwilling to take responsibility for their own welfare should a disaster strike. This led me to a conclusion, a conclusion which my friend was erroneously attributing to mental illness.